Any you come across, please post in this thread. Here is a simplified version that might be more what you're looking for. was going to ask for this, but i dont need to now cuz i guess u read mind. Here is a great wiring diagram that I found. 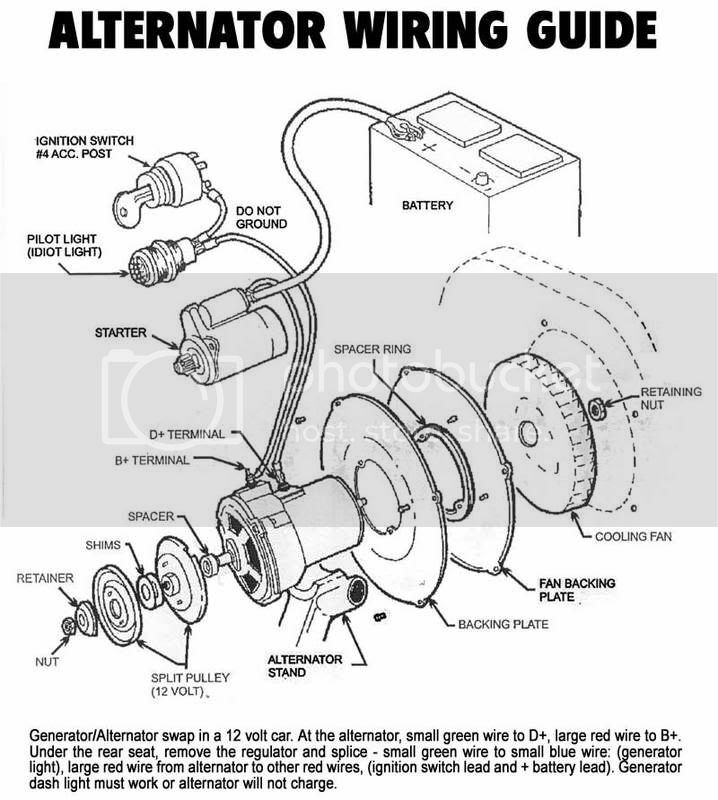 That diagram pictured above a few times for alternator installation is based upon a custom switch and light as they've drawn it. 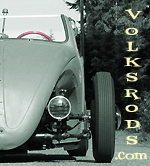 Our Vdubs, if running stock ignition switches as early as your avi/name won't have the "accessory" position or that type of "idiot light". B+ on alt ---> battery positive (+). In the diagram it's jumped to the battery via the starter's input but it could be direct wired too since you have a bus and the battery is right there.. Just need to make the wire of sufficient size (6mm is/was stock). D term on alt ----> to blue-green wire from OG voltage regulator. (this will need an extension usually). It looks like the oil pressure wire but way shorter in the bus. The idiot lights on the OG guage(s) are positively (+) powered when key goes to "On" position and they are grounded (-) via the engine case by oil pressure switch and by voltage regulator to light-up. The D terminal on the alternator will provide the ground to that idiot light when it's not spinning (ie: not running or if you throw a belt). Hope that made sense and answered your question.